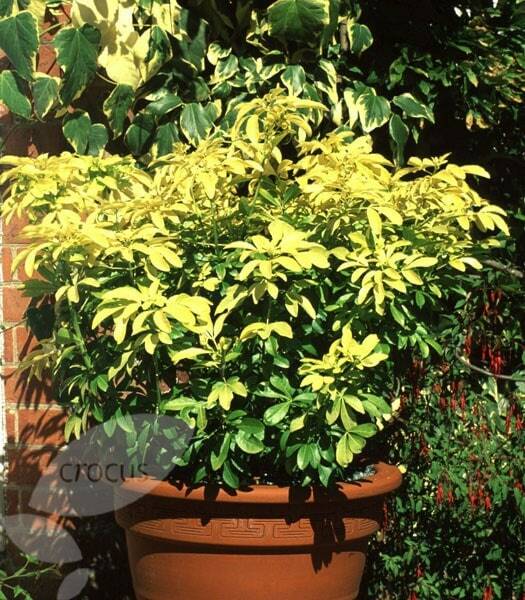 This relative of the popular Choisya ternata has cheerful, bright yellow, glossy young evergreen foliage and produces clusters of white flowers in late spring. This dome-shaped shrub is ideal for a mixed or shrub border in light shade, where the leaves become a more subtle yellow-green. Garden care: Prune established plants in spring immediately after flowering, removing 25-30cm (10-12in) of the flowered stems. This encourages a second flush of flowers in late-summer and autumn. At the same time remove any frost-damaged stems to the base. This is a difficult one. The plant was extremely healthy when it arrived and very attractive. It was planted in a border in my back garden last summer with every hope that it would flourish. Sadly, since then, it has not progressed at all. It is not diseased, was watered copiously during the drought, is definitely not dying but, so far, has not got any bigger at all. I am now waiting to see what will happen this coming year. 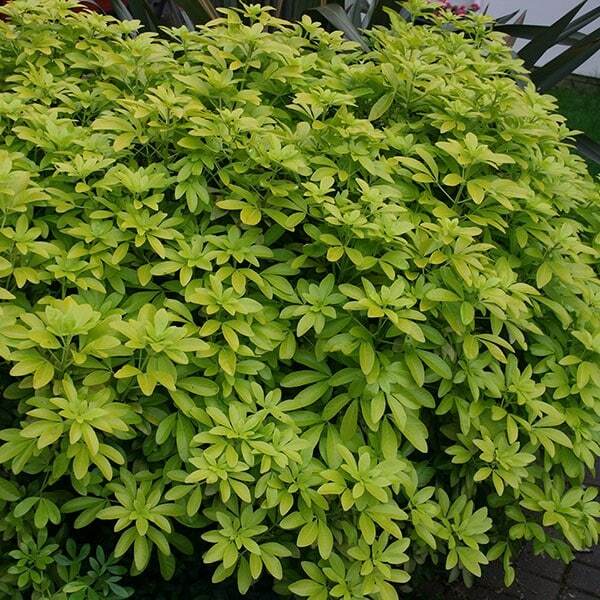 Choisya is fairly tough and fast growing, chosen to light a darkish shady area and it is doing just that! Looks great in a mixed shrub border alongside reds, greens and variegated. Also evergreen. A neighbour has told me to plant this in an ericasious? compost . The plant is not doing well. Does it need an acid soil? These plants will grow in most soils, provided they are fertile and freely draining. How long does this plant last I bought one at a garden centre and it was quite large but now it is spreading out and looking quite bare branched, I have not pruned it since getting it and it has not flowered since I bought it (three years ago) it is contained in a ground planter if I could attach a picture you could see what I mean. Do you think it is too old or do you think I can save it? Hello, You should usually get a good 15 years out of a Choisya, however if it is in a pot, and the pot is a little cramped, then it could well be less. Hi, how fragrant are the flowers of the choisya ternata sundance? (Or does it flower sparsely in which case there also wouldn't be much of a scent.) My husband has allergies so I wouldn't like anything with a strong scent. Thank you. Hello there The flowers are fragrant but I wouldn't say overpowering. Everybody has a different sense of smell so it is difficult to say whether your husband will be effected by these flowers. Hope this helps. Hi I bought a 7ltr Choisya ternata from you in March/April and planted it directly. It was fine at first but now it is looking droopy (green leaves but they look sad and saggy). There are a few yellowing/brown leaves at the base. It has been warm (London) and maybe I didn't water it enough? But I am also afraid to water it too much as I have killed other plants this way. Hello, These plants rarely succumb to pests or diseases, so I suspect this wilting is caused by a cultural problem. It could be either too much or too little water, so do keep an eye on this. The best way to know if a plant needs to be watered is to feel the soil beneath it. If it feels dry, then water the plant really thoroughly and do not repeat the process again until the soil feels dry again. The wilting could also be caused by other things including too much fertiliser, animal pee or even buried debris in the soil. Hello, These plants are generally trouble free, although the foliage can become scorched by wind, sun or frost. If however it is more widespread, then it may simply be succumbing to old age. The best course of action is to cut away the badly affected stems and then make sure the growing conditions are good and the plant has plenty of water and fertiliser. If it still does not pick up then it may be time to replace it. Hello, The foliage of these plants can be scorched by sun, wind or frost, but if it is more severe and widespread, then it may simply be succumbing to old age. The best course of action would be to cut away the badly affected growth and make sure the growing conditions are good, so has plenty of food and water. If it continues to deteriorate, it may be time to replace it.